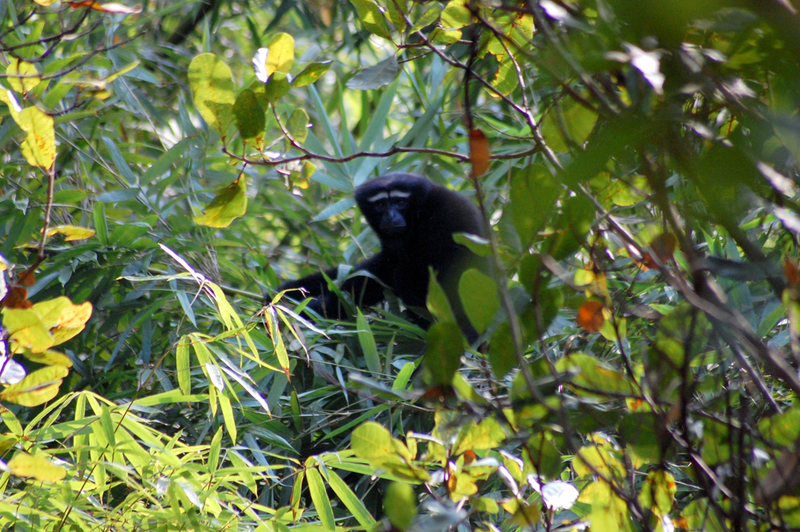 The Western hoolock gibbon is the target of intensive poaching and a victim of the reduction of its habitat. It is the only ape in India; it is classified among the 25 most endangered species of monkeys in the world. Habitat loss over the last 3-4 decades suggests that western hoolock gibbons have declined from more than 100,000 to less than 5,000 individuals (a decline of more than 90%). The contiguous forests have borne the brunt of persistent human impacts. Isolated forest fragments hold a few families of about 1–4 individuals; numbers insufficient for long-term survival. 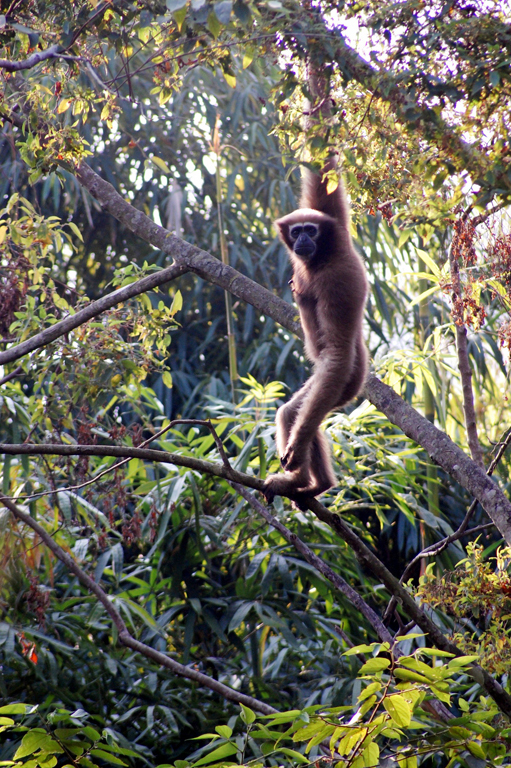 About 100 locations of western hoolock gibbons have been recorded in India. In 2005, 77 of those locations had less than 20 individuals, and 47 of these had less than 10. A Population Viability Analysis (PVA) predicted a 75% decline in the population in India and a 95% decline in the population in Bangladesh over the next two decades, based on the current effects of human impacts. The population trends for the western hoolock gibbon observed over recent years in Bangladesh and north-eastern India indicate a very rapid decline in numbers for which very little has been done in the way of mitigation. Immediate measures are required by governments, forest departments, local communities and NGOs to limit habitat destruction, initiate or improve habitat restoration and upgrade implementation of protective measures. 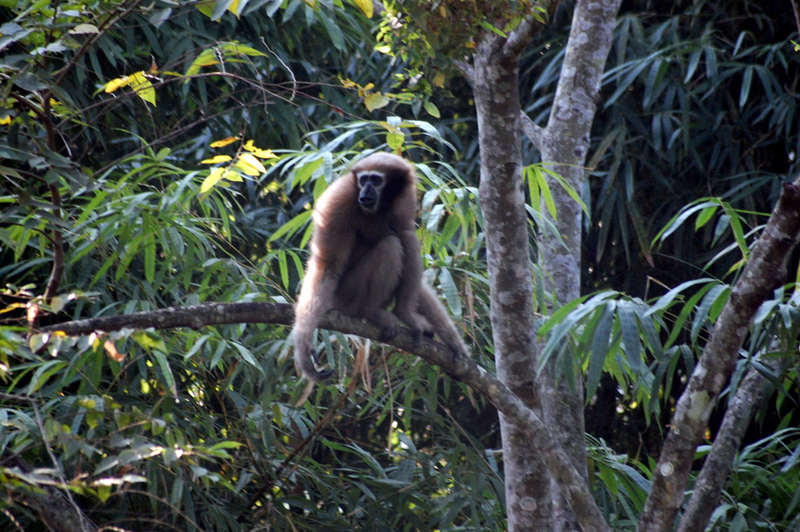 The aim of the Huro conservation program is to open the first centre to accommodate and host animals victims of illegal trade (Western hoolock gibbon, Langur, Assam macaque, Loris...) that have been confiscated by authorities, to reinforce wild population with a rehabilitation program and to improve the relationship with the neighbouring villages resulting from ecotourism development.